For the salesperson, the most exciting part of the sales process is closing the sale. Having done all the hard work in identifying customer needs, matching the product attributes to these needs and handling the objections, how do we move to complete the sale? How do we get the customer to sign on the dotted line? 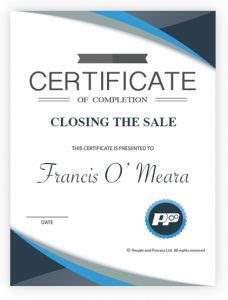 In this course we will cover the key points in closing the sale. We will examine how we establish that the customer is ready to close. We will look at mistakes that can be made. 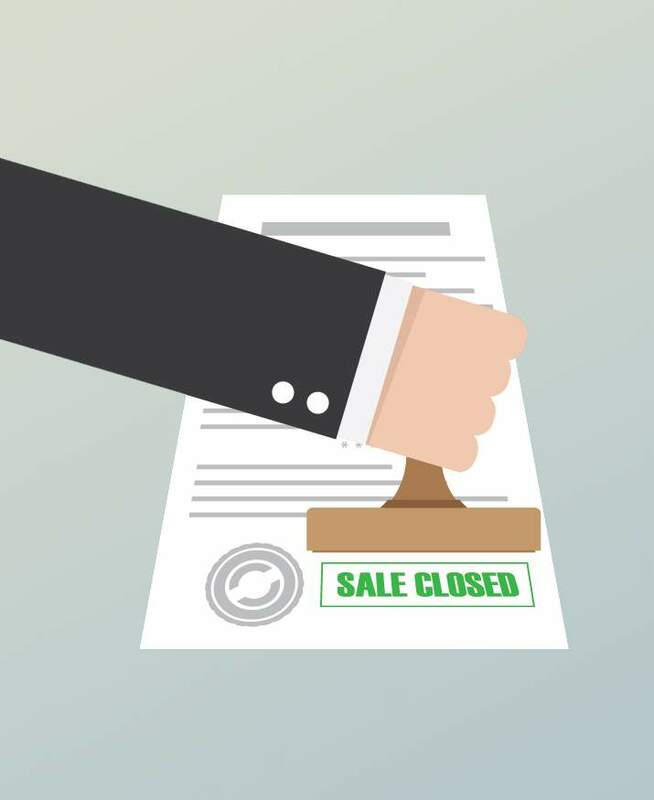 We will look at what method of close to use for different customers and sales situations and finally we will examine how in closing a sale we can proceed to further sales. This particular course consists of 4 number video lessons organised into one module. Each video is approximately 4 to 8 minutes in length. 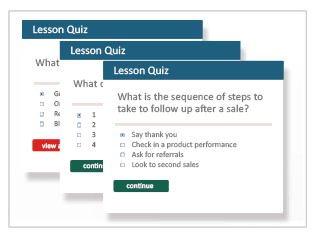 At the end of each video lesson there is a quiz that will test your knowledge of the material. A transcript is available for each lesson so you can real along with the video or download and print to study later. This course is completely self-paced. Watch and study when and wherever you want.